You’ve sent out so many CVs that paper manufacturers are struggling to keep pace with you. Your covering letters have moved from boastful declarations to tear-stained notes of begging. The draw of daytime telly has lured you into an unemployable abyss, to the point that you like to think of Jeremy Kyle as a mate. But now is not the time to shrug your shoulders and accept a lifetime of dole payments, Everyday Value baked beans and Flog It! No – now is the time to get active and devise a new strategy. 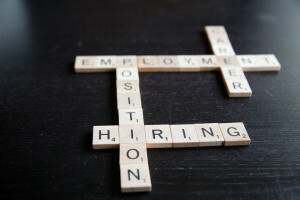 So, what should you do to bolster your job hunt skills? For a lot of people, especially in older demographics, the idea of gaining a degree is about as realistic as a unicorn riding a motorcycle. But with distance learning, you can easily work your way towards a MBA in leadership while you’re on the job hunt. Find a course related to your preferred career path and set aside a few hours a day to study from home. It’s a long road to travel down, but the rewards of a great distance learning degree can be enough to give you an edge over thousands of other job applicants. Mailing out thousands of CVs might show a dogged determination in your eyes, but it’s also the act of the luddite. It’s time to get with the times, granddad. And that doesn’t just mean emailing your CV instead of posting it. Business networking sites like LinkedIn have made contacting the managers of top companies a smidge easier. Set up a profile with your CV and a handsome profile picture, present your skills appealingly and connect with people in the industry you’d like to work in. While it’s not a guaranteed shot at a job, it will allow you to network with the higher ups in your preferred industry and find openings before your competitors do. It’s all well and good using the internet to corner the job market, but nothing beats the chance to sell your skills face to face. Check online for networking events in your local area (there are always a few in any major city), don your finest suit and schmooze with the bigwigs like you were the Donald Trump of your generation. Again, this isn’t a case of rocking up to any networking event and being offered a job straight off the bat. It’s about slowly developing a relationship with employers before you’ve even handed them a CV. That way, when a job opportunity does present itself, you’ll be the first to know.